Vastu tips for nursing homes, clinic and hospitals, Free tips for hospitals, vastu dosha rectification tips by astrologer. Hospitals are places of healing, this is a place where almost only suffered people come to get treatment. It means that hospitals need too much positive energies and so special care is needed in hospitals. Not only special arrangements are needed in hospitals but in every health care centers like clinics, nursing homes etc., it is necessary to take care of some rules of vastu and astrology so as to grow properly and safely. Vastu and astrology help to attract positive energies in hospitals, clinics and nursing homes. There are many important places made in hospitals like reception, general wards, emergency wards, ICU, operation theatres, waiting room, dressing rooms etc. If principles of vastu and astrology keeps in mind then not only owner of hospital will get benefit but patients, staff, every one can get benefits. Vastu and astrology principles make good environment in hospitals/clinic/nursing homes. Astrology and vastu tips enhance positive energies in hospitals/clinic/nursing homes. 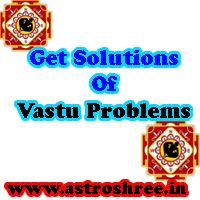 Astrology and vastu tips helps in curing patients quickly and effectively. 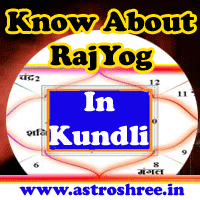 Astrology and vastu tips attract the patients too which will help to gain name, fame and money. Principles of vastu and astrology enhance the satisfactory level in staff too which is good for goodwill of hospitals/clinic/nursing homes. It will be better to choose plot which must have NORTH or EAST direction entrance. Reception must be such that the receptionists face towards north or east direction. Doctors' chamber should be in North-East direction. ICU should be in South-West direction. X-ray, Sonography room should be constructed on South - East Direction or in south direction. North-West Corner is good for staff room or staff quarters. Operation theatre will be good if constructed on West side or in south side. Make proper ventilation every where. Store room for medical equipments is good on South-West corner. Make arrangements of water in North-East direction. Make toilets arrangements in North-West Direction. White, green, orange color is good for health care centers, hospitals, clinic. For medical shop make use of North-West side of area which will increase sales. So here are some free tips from astrologer for the hospitals, Do follow them and if there is some vastu doshas then it is necessary to rectify them as soon as possible. To know the vastu dosha rectification tips, do read my next article "How to rectify vastu dosha of hospitals?". How To Rectify Hospital Vastu Doshas?